Les Ecureuils luxury camping site is superbly situated near several coastal hotspots in St Hilaire-de-Riez, in vibrant Vendee. With its action-packed water park complex, excellent amenities and activities, and direct access to a golden, sandy beach front, this popular holiday resort is hard to beat. There's a great choice of bungalow tent and mobile home accommodations on offer for extended families, so contact LUX-camp today to get your dream holiday started. Welcome to Les Ecureuils Campsite. What stands out about Les Ecureuils luxury camping? 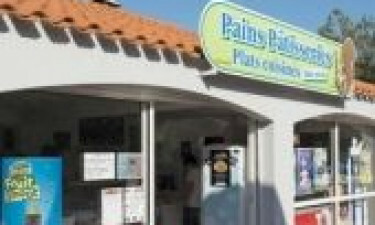 Choice of luxury bungalow and mobile home accommodations. 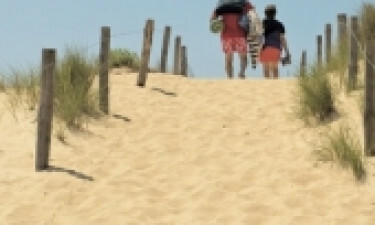 Easy access to many tourist hotspots in the vibrant, Vendee region. Les Ecureuils campsite has thought of everything, so you don't have to. There's an onsite kids club for the younger guests, giving you the time to make the most of the resident spa and gym. Have a sauna or choose one of many pampering treats. There's a tennis court and 2 boules pitches for the more active visitor, as well as the multi-choice indoor and outdoor heated pools with built in jacuzzi. There's a variety of water slides with sharp and gentle bends plus a kiddies pond with play items and small slides to keep them happy. You don't have far to walk if you fancy a day out on the beach. La Pege is only 0.3km from the site, and offers up a soft, sandy stretch where you can top up on your tan. Take a dip in the Mediterranean blue or get active and participate in a variety of sports; surfing, scuba diving, wind surfing etc. If all the sun, sea and sand still isn't enough to keep you fit and healthy, why not drop into the Puy du Fou theme park, nearby. You'll be spoiled for choice with their family-friendly activities plus the kids will love it too. The Vendee region is home to many beautiful hotspots with its classical French scenic views and charming towns and villages. To get the most of this spectacular landscape, why not pack a family picnic and head off to the magnificent Vieux Château. This striking centrepiece at the heart of Ile d’Yeu provides a panoramic picture of the surrounding countryside. To access the island, you need to hop on the ferry from Fromentine or St Gilles Croix-de-Vie. The majestic and striking cliff views are so worth the effort, just don't forget to pack a camera! Les Ecureuils campsite has a resident restaurant; Amy's House. It has terraced seating so you can dine al fresco and the menu serves traditional European fare as well as local French favourites. There's a take-away and a friendly, lively bar where you can sip on a cocktail or enjoy a cold beer. There's also a small grocery shop. Gas and Charcoal BBQs provided free of charge.